Succulents are striking and unusual plants that are centerpieces of a drought-tolerant landscape. Through thick, fleshy leaves they are able to retain water, allowing more time to pass between watering than other plants. Ironically, though they are particularly good at conserving water, most succulents prefer sunlight. 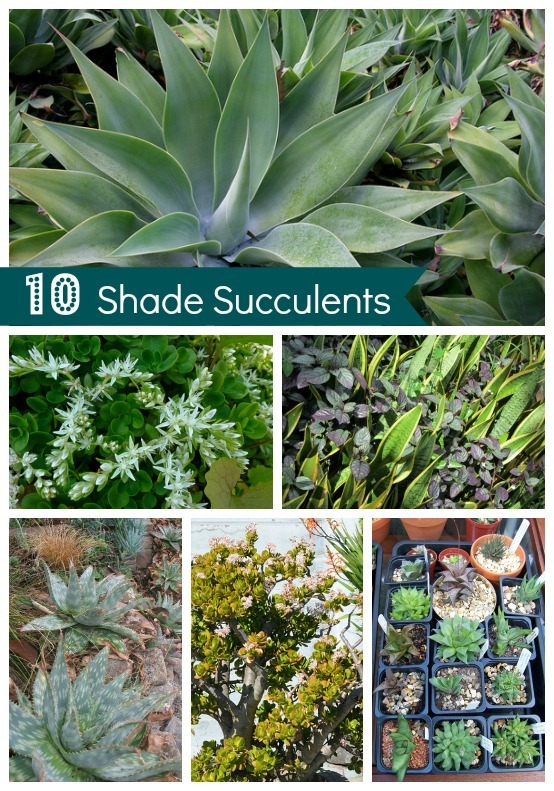 However, we’ve found 10 shade succulents that can tolerate bright to complete shade, along with a short video demonstrating how to care for and plant any succulent in a container. 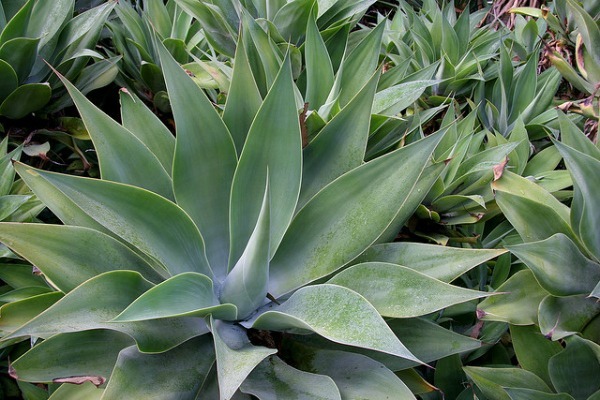 Commonly seen around Southern California and beyond, Agave attenuata are extremely easy to grow. It is known as the Lion’s Tail, Fox Tail, or Swan’s Neck agave due to it’s curved stem, which is unusual for an agave. Unless you intend to prune, leave space for these plants, which can grow up to 5′ tall and wide. Rosettes can grow up to 4′ wide and mature plants can send up a 5-10′ flower stalk. These hearty plants like both sun and shade. Native to South Africa, Haworthia are a group of 144 listed succulents that actually prefer shade or filtered sun, with a handful of exceptions. They vary in size (usually small), color and shape with some having attractively-patterned leaves. 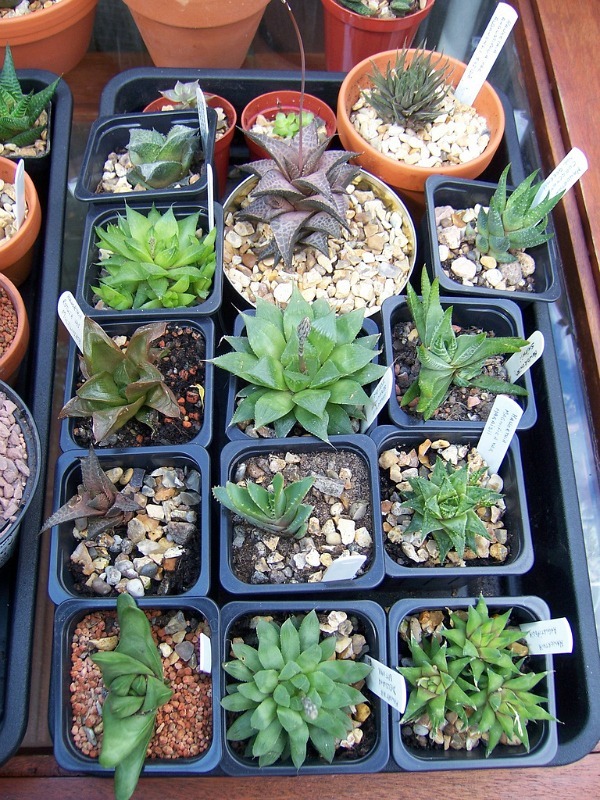 Haworthia are popular for container planting, however, make sure to use deep pots as their root structure is long. Sansevieria is another succulent that can take neglect as it can handle less fertile soil and infrequent watering. In fact, too much water and cold is one of the things that can kill the plant so make sure to protect it from extensive rain or snow. Sansevieria trifasciata is a common houseplant known for its sword-like leaves, but it grows well outdoors in shade (preferred) or sun. A study by NASA found that it is one of the best plants for improving indoor air quality by passively absorbing toxins such as nitrogenoxides and formaldehyde. 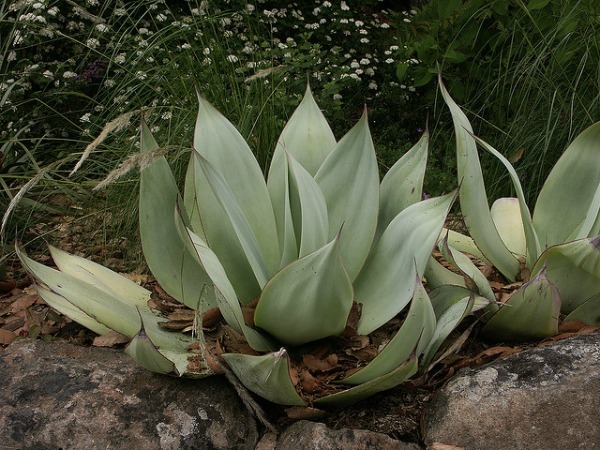 Slow-growing to 1-2′ tall and 2-3′ wide, Agave bracetosa clocks in as one of the smallest agave plants. After about 10-15 years, the mother plant sends up a spectacular white flower spike before dying. The young suckers below the rosette will perpetuate the plant. Though some descriptions call for full sun, gardeners are finding that it prefers partial shade. Agave bracetosa has no spines and can also be grown in filtered light indoors. 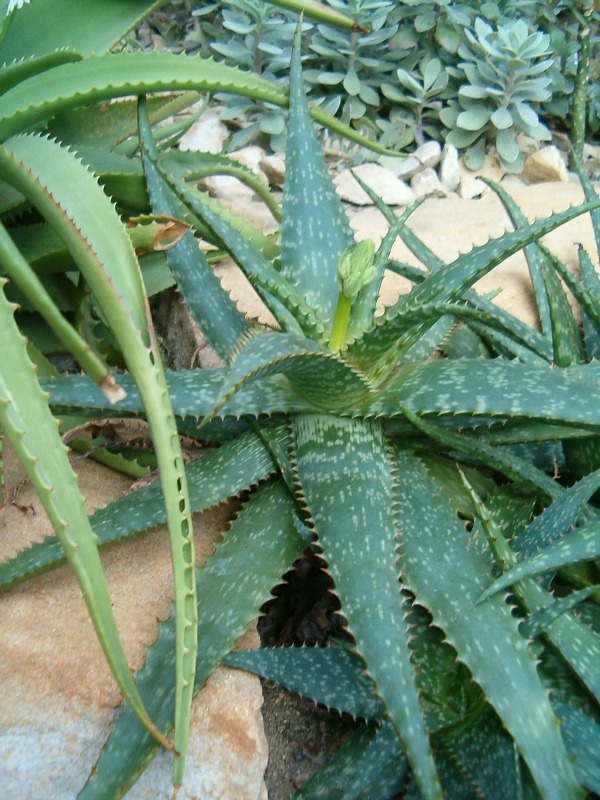 Soap aloe is a highly-adaptable succulent that grows natively in Southern Africa. The species was previously known as Aloe saponaria (a name derived from sapo, the Latin word for soap) because the sap forms a soapy lather when it comes into contact with water. Aloe maculata grows particularly well in the Southwest United States and is salt tolerant, making it a good choice for seaside succulent gardens. 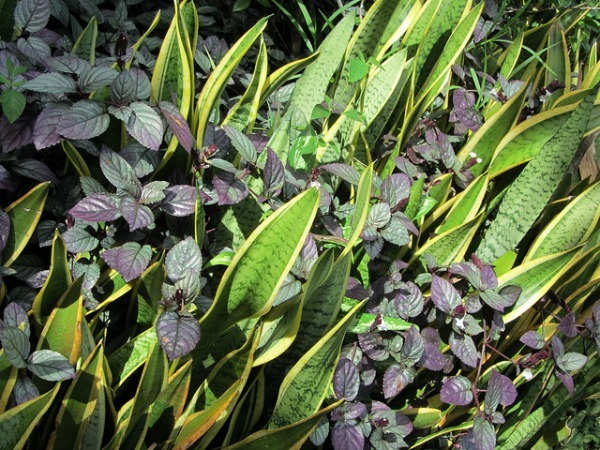 When planted in the shade, the leaves turn more blue-green versus pink-red in full sun. Plants grow approximately 18″ tall and 24″ wide with year-round, up to 36″ flower spikes. This aloe is much smaller than the above Soap Aloe, but they are often mistaken for each other. Aloe grandidentata grows a cluster of rosettes about 5″ tall by 12″ wide and makes an excellent groundcover or plant to use at the base of tree trunks where shallow roots are required. 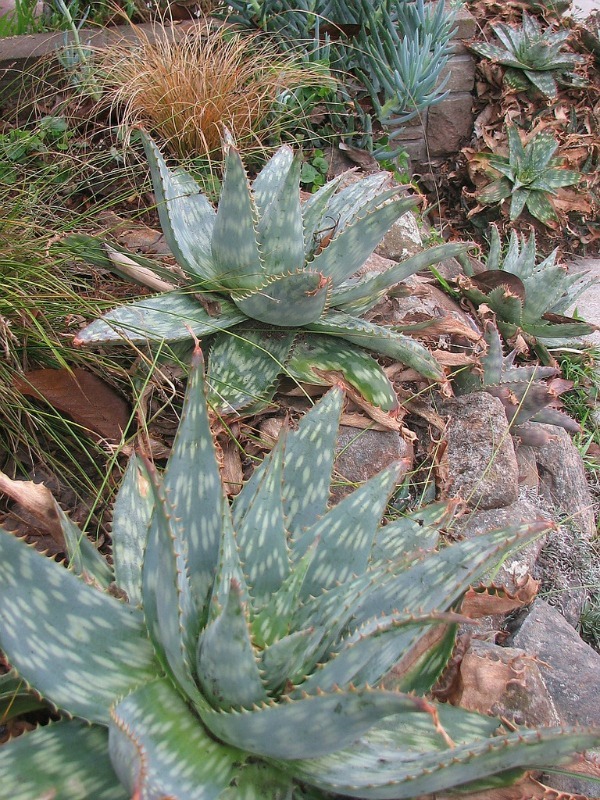 Gardeners believe that this aloe is more shade-tolerant than Aloe maculata. 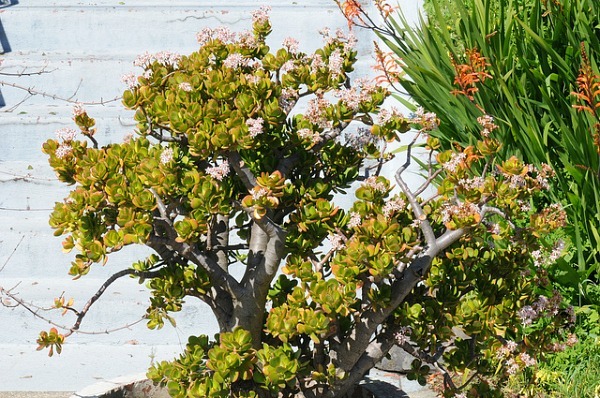 This popular plant is native to South Africa and sprouts pretty white and pink flowers around jade green, fleshy, round leaves. Avoid extreme heat as this shade-tolerant succulent prefers light shade though it can do well in full coastal sunlight. Crassula ovata is a popular choice for bonsai and benefits from pruning as the leaves can make the plant top-heavy. These plants can grow to be 4-6′ tall and come in varieties that include variegated or orange leaves. 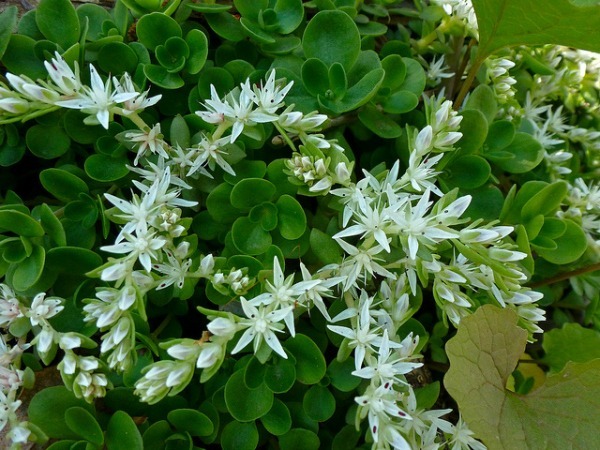 A pretty groundcover, this versatile sedum can grow in full sun or full shade up to 8″ tall. It is a popular addition to container plants and zen gardens, because it is not as sensitive to moisture as other succulent groundcovers. This shade-tolerant succulent grows well in either partial or full shade, with margins a cream color in the shade that become pinker with increased sun exposure. Aeonium kiwi grows slowly to about 2′ tall and wide. It’s monocarpic, which means it will die after flowering, somewhere in the neighborhood of 5 years. Agave celsii is native to Mexico and blue-green leaves that gracefully arch upward. 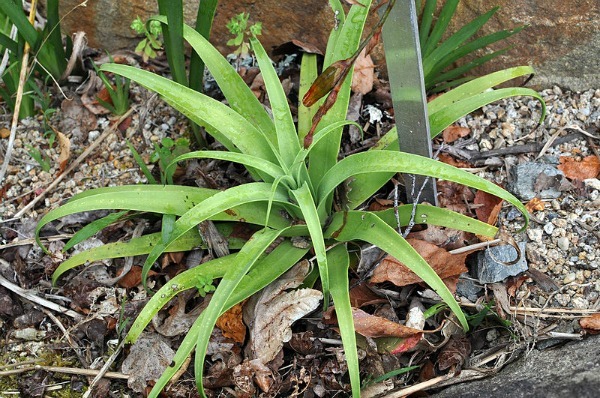 Rosettes and can grow up to 2′ tall and wide. 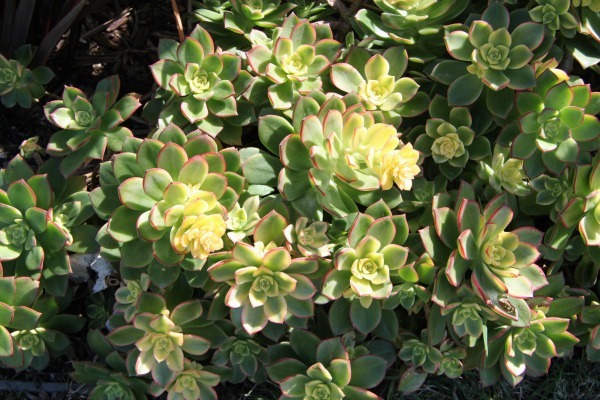 This clumping succulent can tolerate shade or sun and humidity. This video provides an excellent tutorial regarding how to plant and care for sun or shade-loving succulents in containers. If you’ve ever wanted to sound like a pro by properly pronouncing succulent genus names, this information is also in the video! Whether you plant them in sun or shade, succulents are an easy-care addition to any garden.